A master of many games, Asa is known as "sparring partner of champions", among various sobriquets. Though he learned the moves at three years of age, it was not till his teen years that chess took a prominent place among his interests, still in time for him to annex the prestigious title of 1962 New York City Junior Champion. 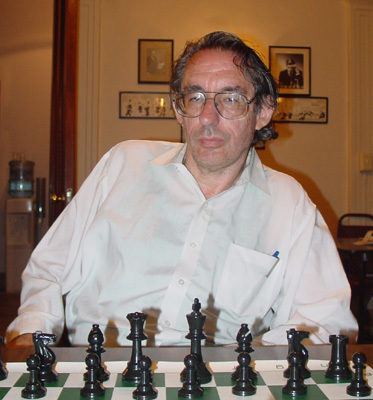 He has since been a constant presence on the city's chess scene, though the scene itself has had constant changes of address. His skill as a handicapper has the unfortunate effect of limiting his participation in tournaments, but a natural tactical flair, plus a positional understanding developed through great experience, make him dangerous even to strong GMs when he does venture to compete. The unusual openings he is partial to often pay double dividends when his rivals try to emulate him. Those who were disappointed by his big-screen depiction in "Searching for Bobby Fischer" may take heart from the knowledge that it took Hollywood three tries to cast Humphrey Bogart as Sam Spade.